On Tuesday, 18 September 2018, 10 members of the multitalented Bonner family released a soul-stirring music video of the song “Child of God” from the upcoming movie, Jane and Emma. The movie premiers in select theaters on 12 October 2018. It is the story of two women – one white and the other black – and the unlikely, and even risky bond and friendship that develops between the two. Who are these two women? 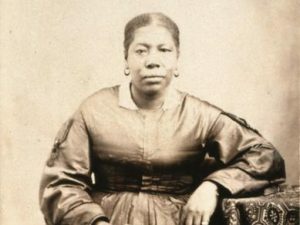 They are Emma Hale Smith, the wife of Prophet Joseph Smith, and Jane Elizabeth Manning James, a free-born black who became one of the early members of The Church of Jesus Christ of Latter-day Saints. For 15 days in March, This Is the Place Heritage Park on Salt Lake City, Utah’s east side came alive as 1844 Nauvoo, Illinois, the gathering place for far-flung members of The Church of Jesus Christ of Latter-day Saints. The Andrus home was transformed into the Nauvoo Mansion/Hotel, where the Smiths and Jane lived. The Pine Valley Chapel served as the site where the Mormon founder delivered parts of his famed “King Follett discourse” (though the real setting for it was in an open-air service). The filmmakers also traveled to Nauvoo, Illinois, for two days to capture authentic-looking exteriors there by the Mississippi River. The story of how Jane Elizabeth Manning James ad her family came to join the Saints in Nauvoo, Illinois, is a miracle. 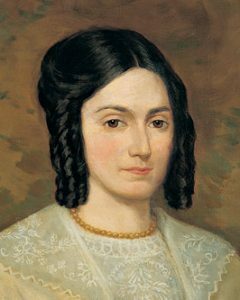 In 1843, Jane and eight members of her family began the strenuous journey from Connecticut to Nauvoo, Illinois, where they would join with other Latter-day Saints. Upon arriving in Buffalo, New York, they purchased tickets for passage on the steamboat, However, after their luggage had been placed on board, they were denied boarding because they were Black. Neither their luggage or their money was returned to them. With a mind set on joining the Saints in Nauvoo, Jane and her family began the journey of 800 miles by foot. When they reached Peoria, Illinois, law enforcement officials threatened to arrest them if they did not produce their freedom papers. Because they were not slaves who had been granted their freedom, they could not produce the requested documents. By God’s grace, they were able to convince the authorities that they were telling the truth. They finally reached Nauvoo, but not before having to cross a stream of ice-cold water up to their necks. Here is our latest video! ‘Child of God.’ Please share this divine message about our heavenly heritage! Meet the team who made " Jane and Emma Movie possible and why this was such an important story for them to tell.Learn more at janeandemmamovie.com! "Jane and Emma" opens October 12. Good afternoon! 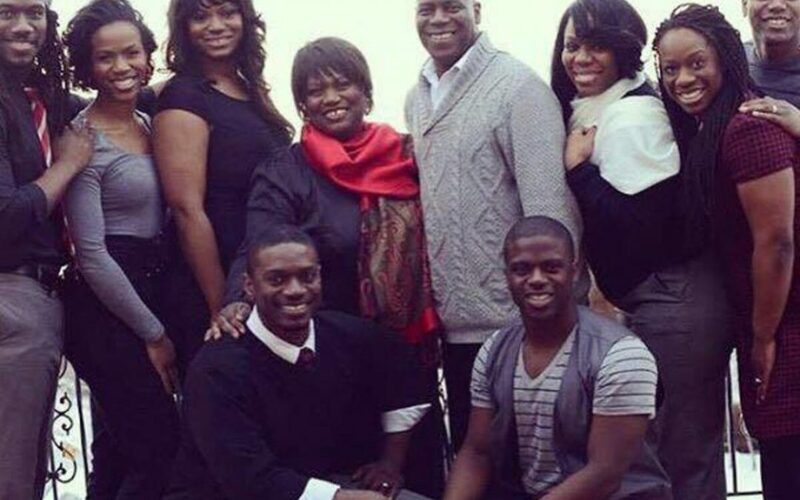 Thank you for your comment on the post about The Bonner Family’s music video “Child of God.” The best way to acquire the sheet music is by contacting The Bonner Family through their social media channels and asking directly. I would suggest contact Yahosh Bonner first and then work from there. Thanks! Good afternoon! Thank you for contacting Mormon Music. Since the Bonner Family wrote “Child of God” for the “Jane and Emma” movie, I would start by contacting them through their social media channels (Facebook, Instagram, Twitter, etc.) They may also be able to point you in the right direction to obtain sheet music from the movie as they would have direct contact with the people involved in producing the movie. I hope that this helps. Barbara, perhaps the best place to obtain the soundtrack for the Jane and Emma movie will be through Deseret Book when it becomes available.